Crime • The belt was found beside body of slain book seller. South Salt Lake police Thursday released photographs of a belt found with a slain book seller and made another public request for help in finding her killer. 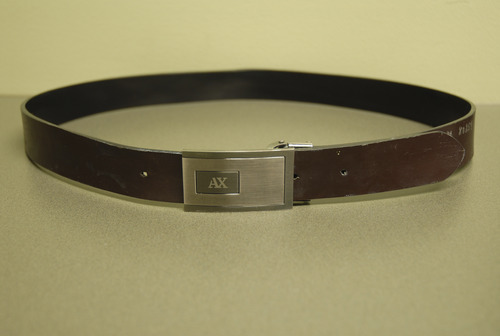 The Armani Exchange belt was found Nov. 30 beside the body of Sherry Black, police said. 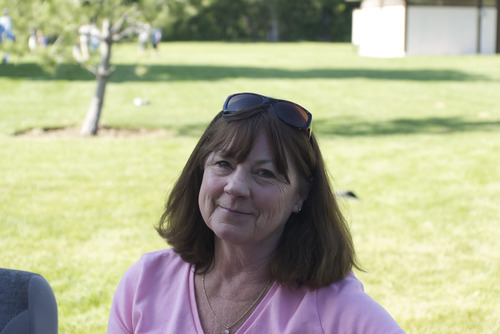 Black was the mother-in-law of Greg Miller, the CEO of the Larry H. Miller Group, which owns the Utah Jazz. 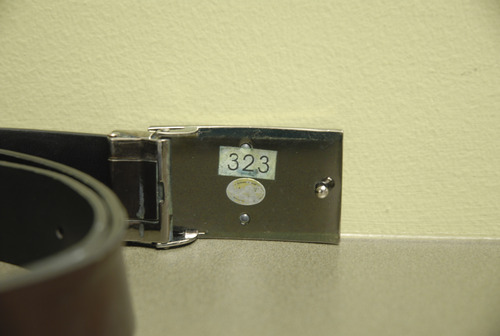 Photographs supplied by the police department show "AX" on the buckle and the numbers 323 on a sticker on the buckle's back side. A South Salt Lake police news release said the numbers could be from a store or thrift shop. "It's a little bit unusual that we release evidence to the public, but this is so unique we think it will jog somebody's memory," said South Salt Lake police Sgt. Gary Keller. Keller said he did not know if the belt was used as a weapon. He said detectives have no suspects or a motive in the killing. Anyone with information in the case can contact South Salt Lake police by calling 801-840-4000. Black and her husband, Earl Black, ran B&W Billiards and Books from a building next to their home at 3466 S. 700 East. Her husband found her beaten and stabbed when he returned home. "We don't know if anything is missing from the book store," Keller said. "We've been through that store and as you can imagine there are thousands of books. The problem is Sherry Black kept the inventory in her head."